Located on the outskirts of Johannesburg, Gauteng, Carnival City is a complex of carnival excitement that promises to leave you amazed and wealthy. Visitors will find a host of fun here. Besides the casino, there is a very good restaurant, retail stores, and a highly rated hotel. Get ready for a carnival atmosphere the casino’s name hints at, setting the mood fun real money gambling. The casino in the mega complex is one of the most elite casinos in South Africa. It offers the highest standards in its services. The casino has 1 750 slot machines for its guests to try their luck on. There are also 58 table games that range from baccarat and blackjack, to American roulette and poker. They also have video poker machines and speciality games. Carnival City is open 24/7 so gamblers can play anytime they want. 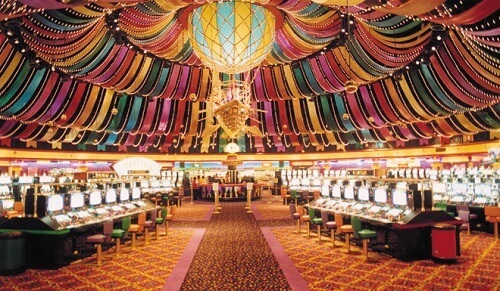 Visitors that frequent this casino end up as a Most Valued Guest (MVG) member. This opens a world of exclusive deals and rewards. MVGs gain access to Carnival CityClub Prive which rewards guests with exclusive private gaming, higher stakes, special deals, and promotions. Carnival City has a whole lot going on beside its high-class casino. Every Friday, Carnival City’s Bru has comedy night for those looking for a night out. There’s also an arcade for those looking for some gaming fun. The arcade boasts ten-pin bowling, go-karting, and laser tag. You can also catch the latest movie at their cinema complex. For whatever tastes, there is a restaurant at Carnival City. Some great options include Ocean Basket, Giovanni’s, Beijing City, and Harvest Grill & Wine. For some drinks, visit the Carnival Bar where there are regular live performances or catch up on your favourite sports at the Supersport Bar. The Carnival City Hotel is rated 4-star and has 105 high luxury room. In the hotel, guest can find some great amenities at an affordable price. There is wifi, a private pool, lounge, and spa. There is also a complementary breakfast the next morning. Find out about the best Gauteng casinos with Casino ZA.